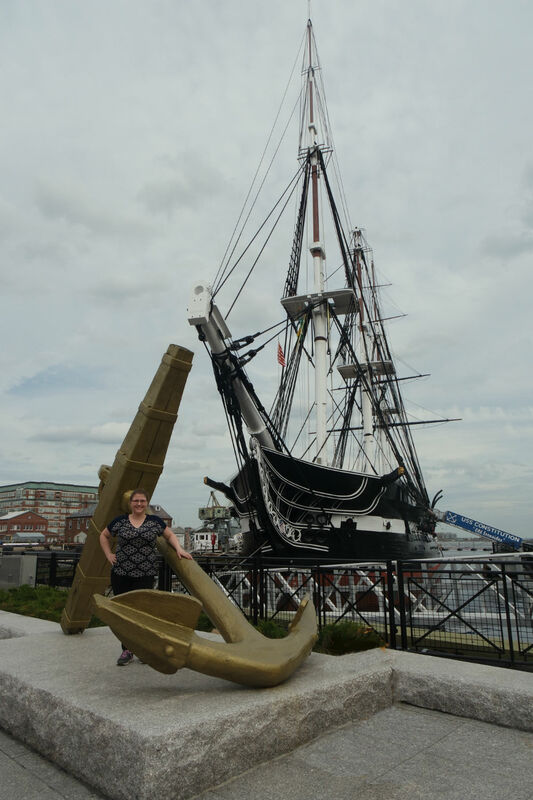 On a May 2018 business trip it was my pleasure to visit the sailing frigate USS Constitution (USSC). I have dreamed of seeing her since I was a little boy, ...sparked by my very patriotic father reading to me about the USSC via his various books and magazines he acquired over the years. I certainly carried on his enthusiasm! He never got to walk her decks, so it seemed I was doing it with him. I have to admit I got a little emotional when I first stepped on board. 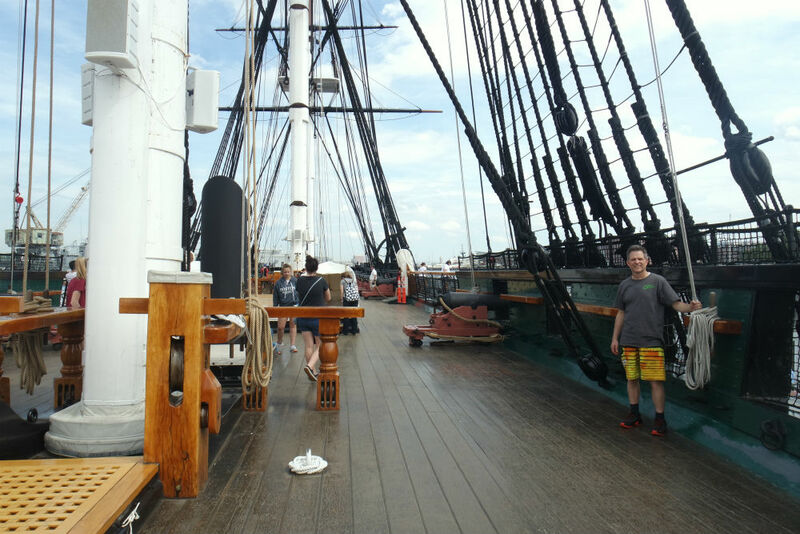 It was like stepping back in time when sailing was the only mode of propulsion, when ships had to solely rely on the wind. One can not help but feel patriotic as well that this national treasure is still afloat. After her almost being scraped twice and the many battles she was involved in (she is undefeated), its amazing she survived. 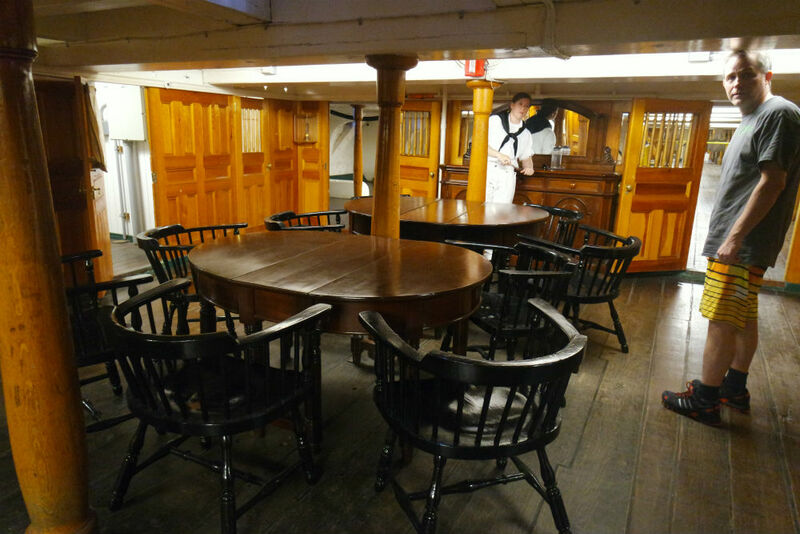 The USSC was named by George Washington himself and was part of a 6 ship order via the Naval Act of 1794. 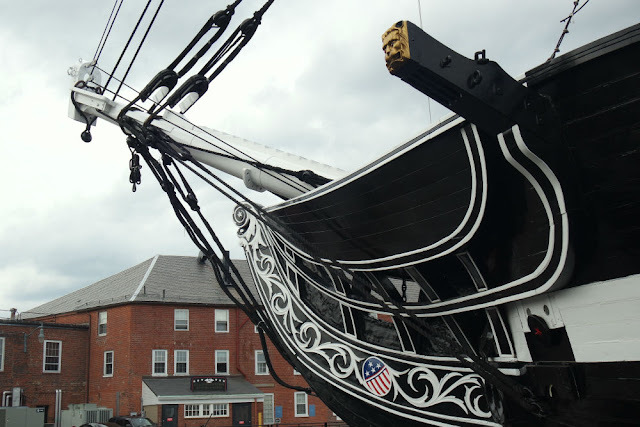 She was built in Boston Massachusetts and launched April 18 1897. She is considered a heavy frigate, much stronger than ships of her kind during that era. She was designed to be faster than the larger British war ships, yet big enough to carry enough canons (44 to 50) to do some major damage. She had about 33 battles from small scale to major cannon blazing battles. 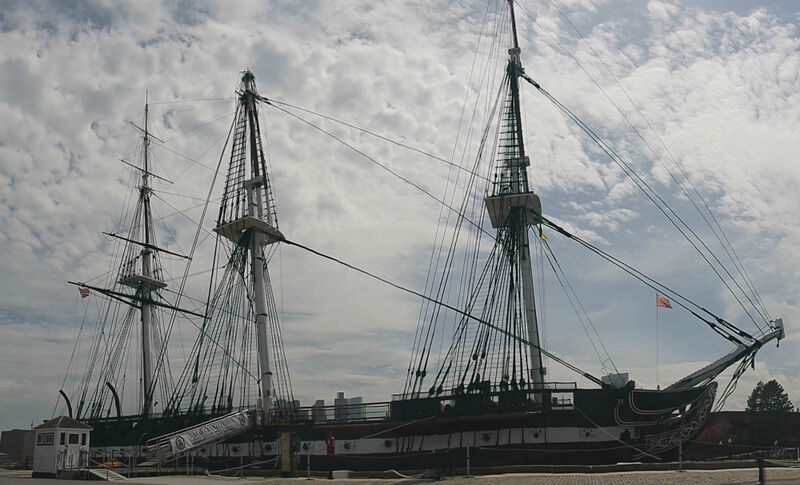 Three of her most notorious battles were against British war ships during the War of 1812. One battle was against the 38 gun frigate Guerriere, next against the 38 gun frigate Java (both similar in size); and after that against two smaller 20 gun war ships at the same time (HMS Cyane and HMS Levant). She also had the opportunity to use her speed to get away from a fleet of 5 British ships, one of which was a large 104 cannon ship. This escape came to be known as "The Great Escape." 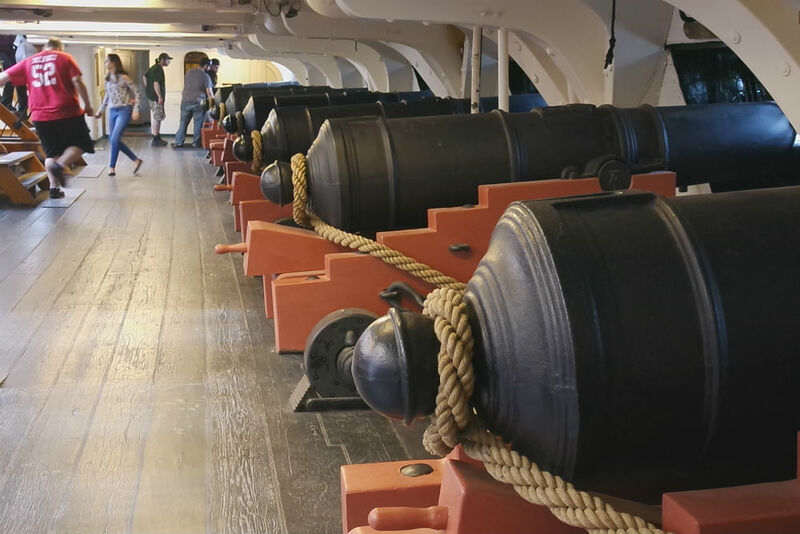 During her battle with Guerriere she received the nickname Ironside, when cannon balls were seen bouncing off her sides. An American sailor exclaimed “Huzzah! Her sides are made of iron!” Later her nickname was change to Old Ironside when ships started to be built with actual iron. There was also a time when her name, USSC, was going to be used on another ship; but as it turns out the other ship was not completed and the name was returned to her. 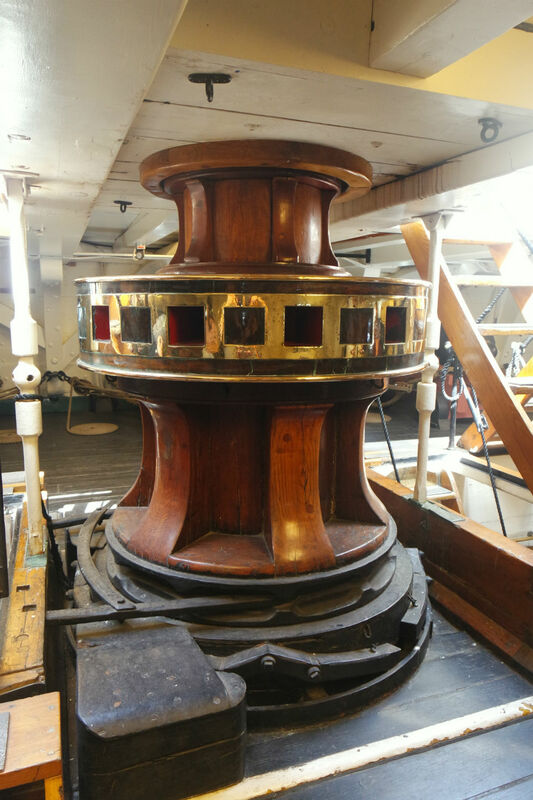 It is noted that about 10-15% of the original wood is still in her. One might say that is not much, but think of this... “THE ORIGINAL WOOD!” That wood is 220 years old. Also realize that this ship fought in many battles so the damages from these battles needed to be fixed. 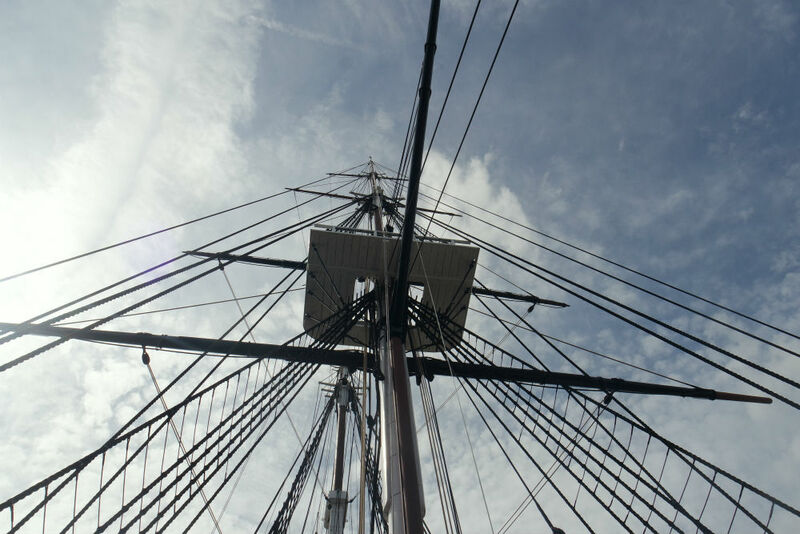 ...broken masts, bowsprit that got tangled twice with ships it was fighting, and so on. 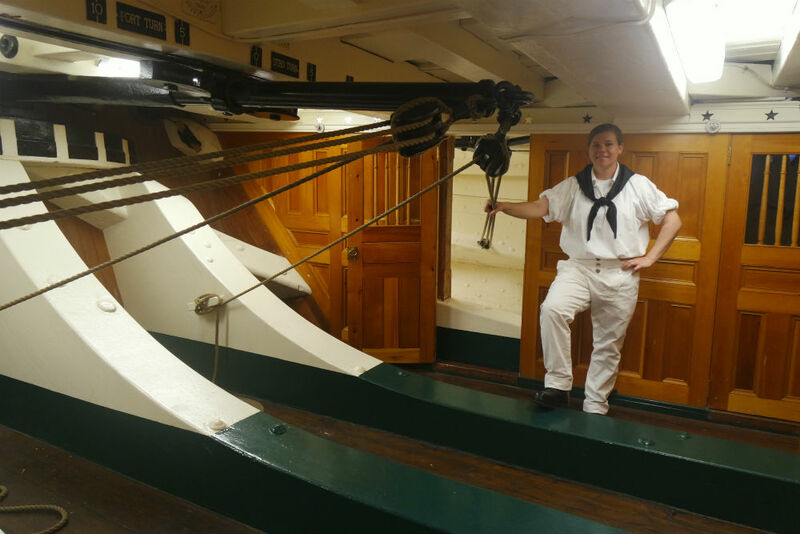 She also went through various changes... from war ship, to diplomatic vessel, to training, and having housing built on her deck to accommodate cadets living aboard, etc. Later she was restored to her 1797 configuration, and thus she is today. When I stepped aboard I could not help but get a bit emotional. 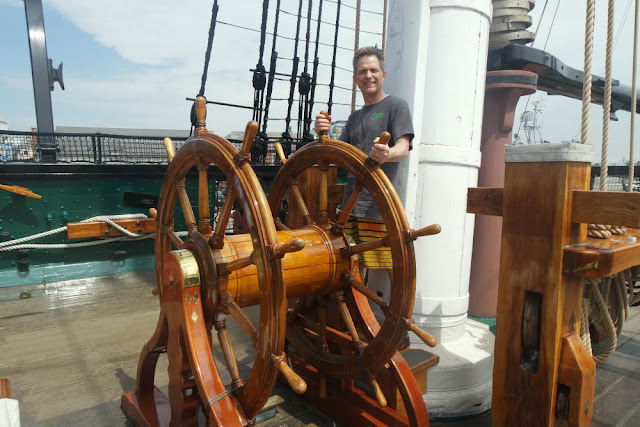 It was at that point my childhood dream came true, the realization that I was on board a national treasure, aboard a ship that had been involved in keeping this nation safe, and a ship that men had fought and died on. It was an amazing realization. I could not help but take my time and take it all in, touching her and taking in the sights and smells. We arrived at noon and did not get off the ship until closing at 6:pm, we were the last people to exit the ship. They kind of had to prompt us to leave with happy enthusiasm. It was hard for me to leave, very hard. Thus we lingered on shore looking at her for some time until it was dark, finally left to have dinner. There is a visitor center and museum next to the ship, which we spent little time in, but on my next trip I would like to go through it slowly and read all of the information. We did watch a historical video about the USSC in the museum that highlighted all its history, etc. On board I found that they were selling American flags. 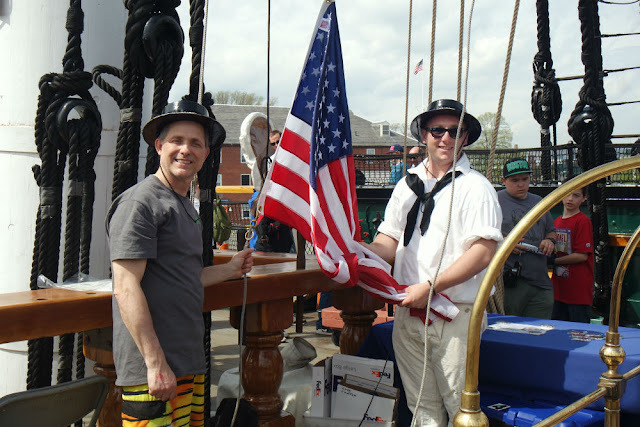 The note by the flags indicated they had been flown on the ship, and so I thought wow that would be great to have one. However I did not realize that, in fact, I would be raising and lowering the flag. It was the best $25 I have ever spent! 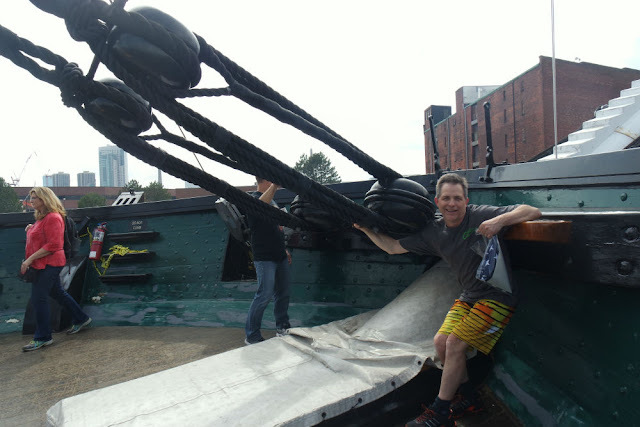 Not only did I get the flag after lowering it and folding it properly with the naval officer on board (all on board are active duty naval officers), but all the money goes toward caring for this wonderful ship. 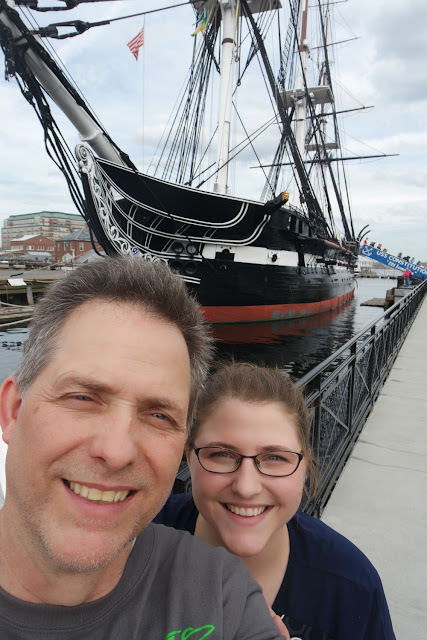 Another wonderful part of this visit was sharing this experience with my daughter who is an avid sailor and is currently taking a college course on American history. She said to me that coming aboard made what she was studying more real. I hope to visit her again but if I do not I do have this one amazing visit to always remember.